Simple to make, "this season's jabot" is a great way to add a dramatic accent to a frock. Read on to learn all from dear Ruth! 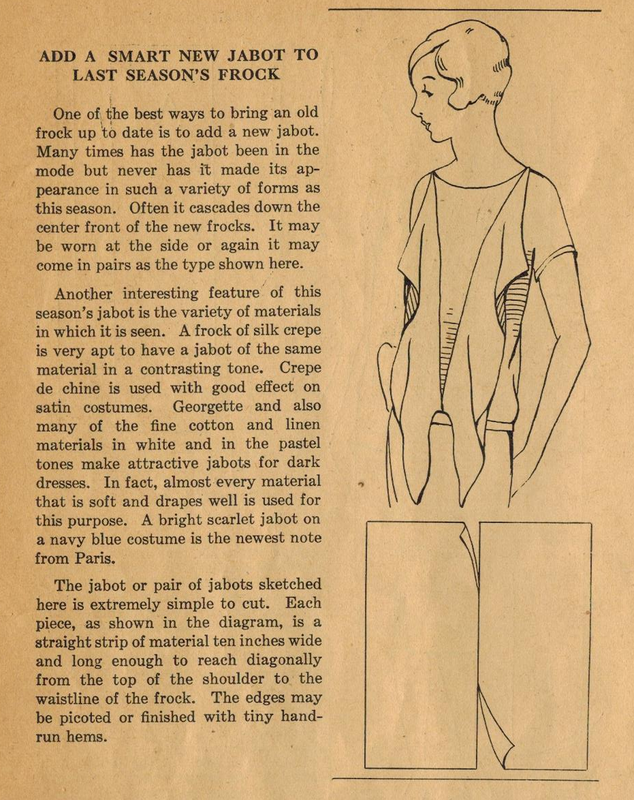 A tip from Ruth for a quite different style of jabot. Another tip from Ruth for a different type of jabot. A jabot neckline from the early 1950s.